How will you cover health care expenses in retirement? | Benefit Resource, Inc. If you are worried about not having enough for retirement (especially health care expenses in retirement) you’re not the only one. “[Under] 40 percent of nonretired adults think they are on track in saving for their golden years and 25 percent have no retirement savings or pension at all.” That statistic is from the Federal Reserve’s Report on the Economic Well-Being of U.S. Households released in May 2018. The report provides insight into the financial health of families across America, examining factors like employment, student loans, and retirement. Only you know if your savings match one of those statistics. But even if that’s the case right now, it doesn’t have to stay that way. If you are currently employed, there is one change you can make to start saving: Enroll in a Health Savings Account (HSA). 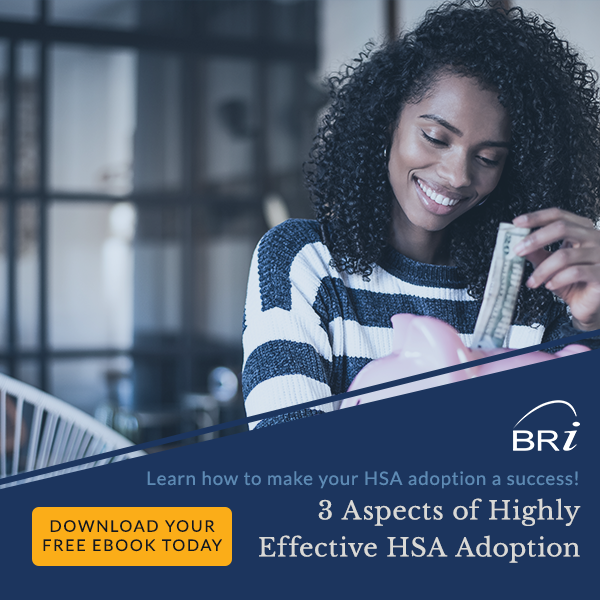 We’ll go over the three reasons why enrolling in an HSA might be the best option for you in order to save on health care expenses in retirement. An HSA is an account that may be offered by your employer. It will help you save on taxes and on health expenses. How? An HSA is a tax-free benefit. The money comes out of your paycheck before taxes, similar to a 401(k) and health insurance. Because your gross income (your income before taxes) is reduced, you pay less in taxes. How much you can save with an HSA depends on your tax rate. Additionally, as the money builds up in your account, it can earn interest or can be invested. Finally, when you use the funds for eligible medical expenses, they remain entirely tax free. This unique triple-tax-saving benefit is only available through an HSA. Enroll in a High Deductible Health Plan (HDHP). You are only allowed to have an HSA if you also have a qualifying HDHP. Verify you are eligible. To be eligible, you can not be enrolled in another plan that is not HSA eligible, you cannot be enrolled in Medicare and you cannot be claimed on another person’s tax return. Once you have met both of those criteria, you can enroll in an HSA during your company’s benefits enrollment. 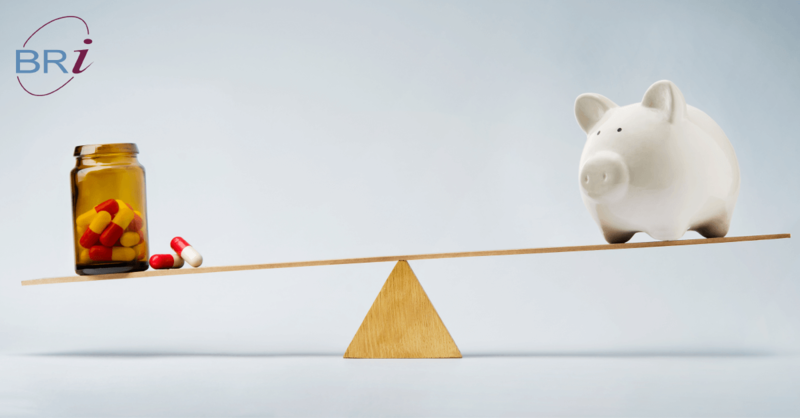 Many people find that one of the main challenges of saving is getting out of their own way. It’s hard to save your money if you want to spend it as soon as you have it. An HSA is typically funded through payroll deductions. The money is directly sent from your employer to your HSA before you ever receive your payroll deposit. There is a saying that “You can’t miss what you never had”. This is the case when you fund the HSA with payroll deductions. Since the funds never hit your personal checking account, it is a lot harder to miss them. Since HSAs and other pre-tax accounts are regulated by the IRS, there are limits on how much money you can set aside. The amount varies for each account. The HSA limits also vary depending on if you are enrolled in individual or family coverage. You can view the 2019 HSA limits here. If you are over the age of 55, you can set aside an additional $1,000 in your HSA, on top of your contribution maximum. The maximum HSA contribution for individuals in 2018 was $3,450 and $6,650 for families. Depending on your situation, you can set aside up to $4,450 or $7,650 with a catch-up contribution. Saving on health care expenses in retirement. For all intents and purposes, an HSA allows you to make money while you sleep. While you work, health care costs can be covered through insurance or out-of-pocket payments. Your HSA deposits will grow, probably to the thousands of dollars, and provide a nice cushion to cover health care expenses in retirement. Even if you started late with savings, you can make up some of the difference now, without a total overhaul of your lifestyle or income. Do something today your future self will thank you for. Start saving with an HSA. Learn more today. *Eligible expenses are determined by Section 213(3) of the Internal Revenue Code. Your employer may impose additional restrictions.